Project: Karen needed a way to show potential clients the different type of cartoons and illustrations she has worked on in the past as well as the variety in her experience. This website groups examples of her work by type of drawing and allows visitors to learn more about her, her experiences and get in touch with her. 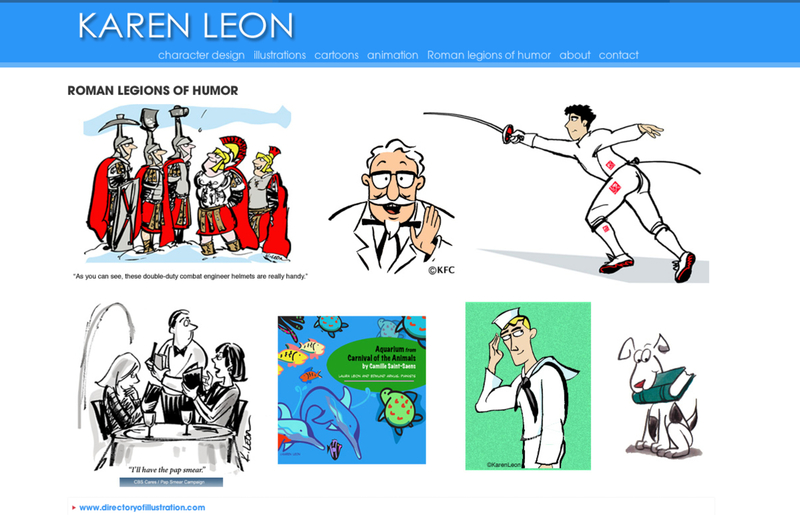 Summary: Karen Leon is a recognized freelance illustrator and cartoonist who works in the arenas of advertising, print, publishing, caricatures (corporate, political & celebrity) and children's books. For several years, Karen was also a political cartoonist for Crain's New York Business.